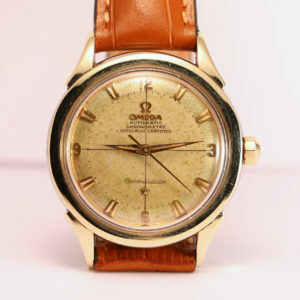 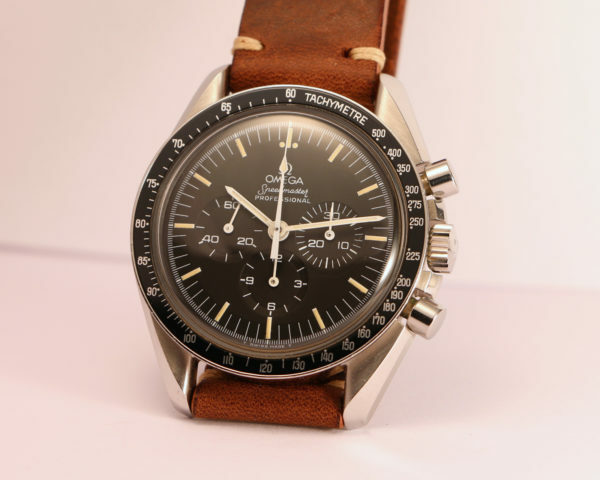 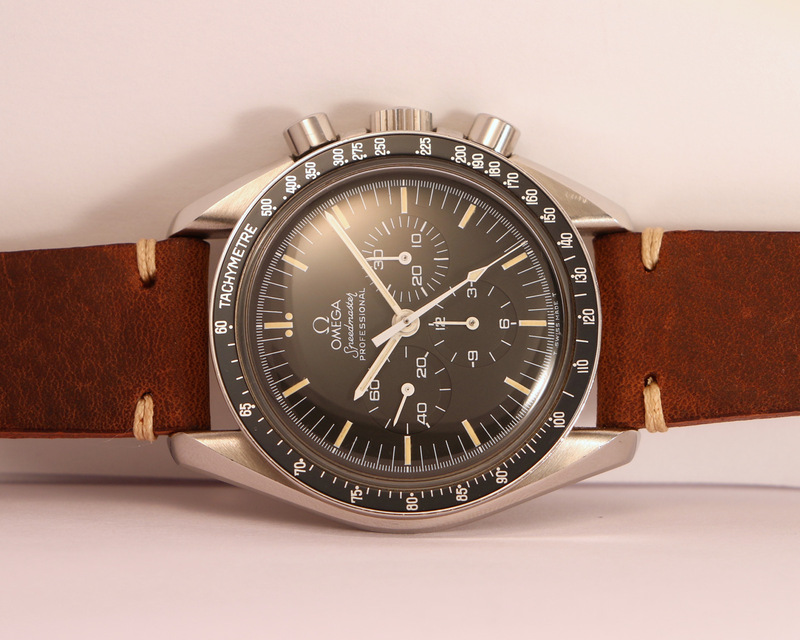 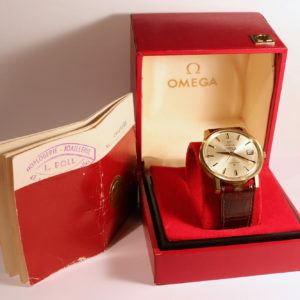 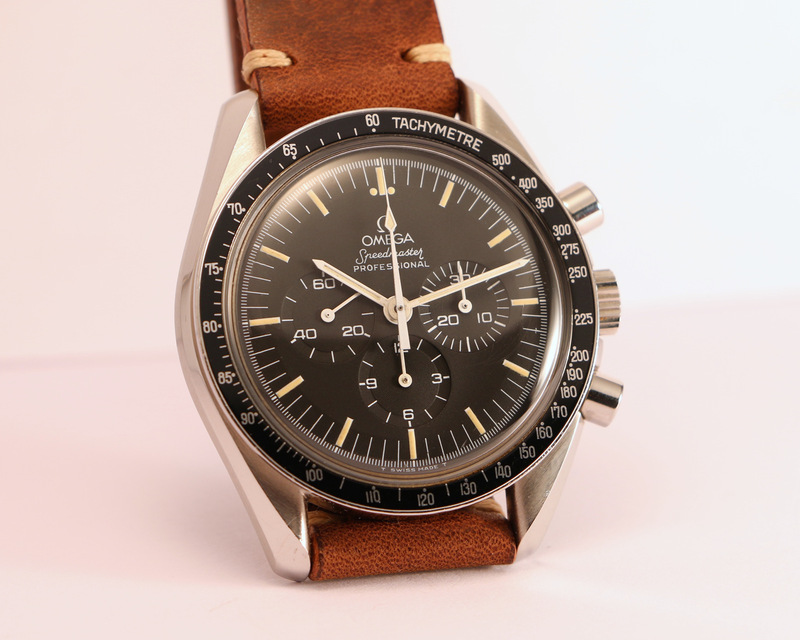 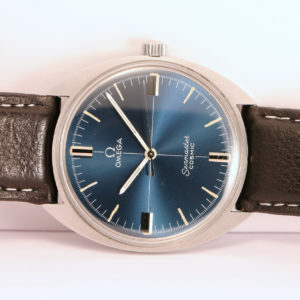 Omega Speedmaster vintage ref. 345.0808 (PIC 3592.50) on leather strap in excellent condition. 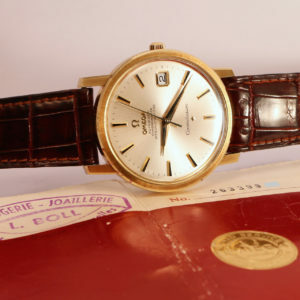 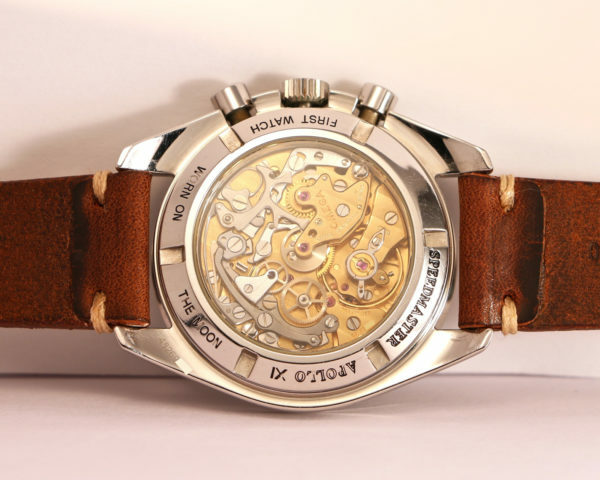 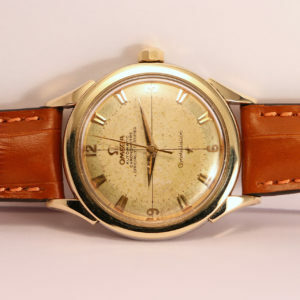 The reference 345.0808 has been produced between 1989 and 1995, but the first examples like this one are quite rare. 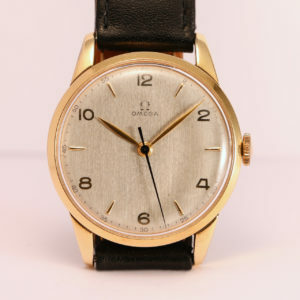 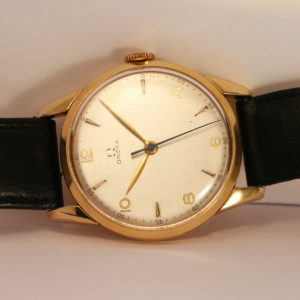 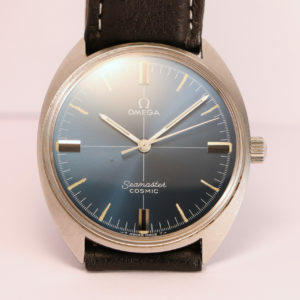 These early examples feature the “long S and R” dial typical of the late 1980’s and the bezel with the writing “TACHYMETRE” in big characters without accent (rarer than later versions with smaller characters). 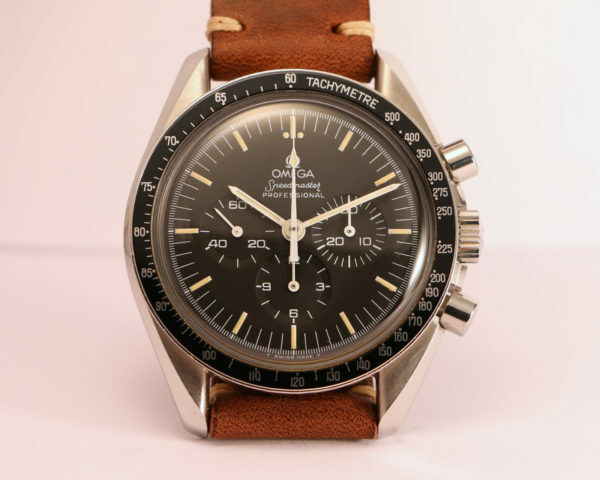 Most of the 3592.50’s you can find for sale don’t have the “long S and R” dial. 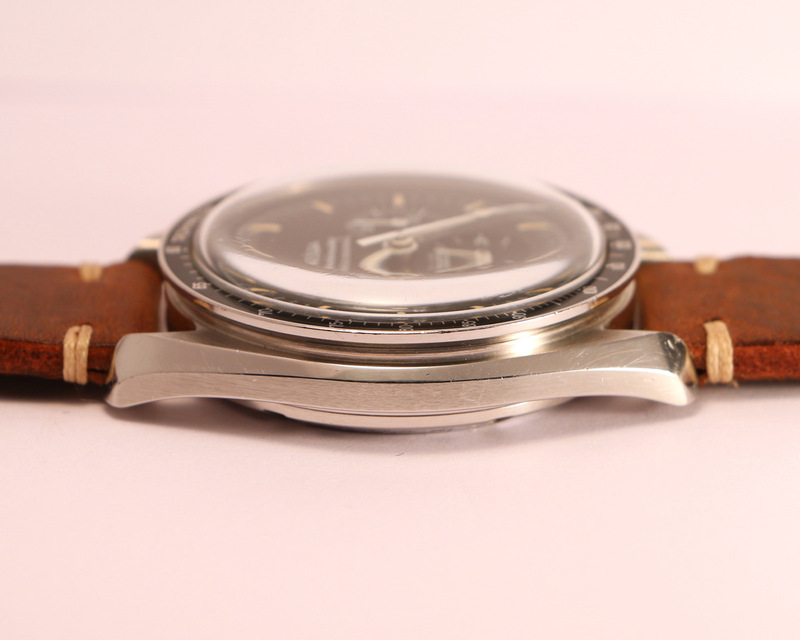 Tritium indexes and hands (not relumed) with a very nice matching patina. 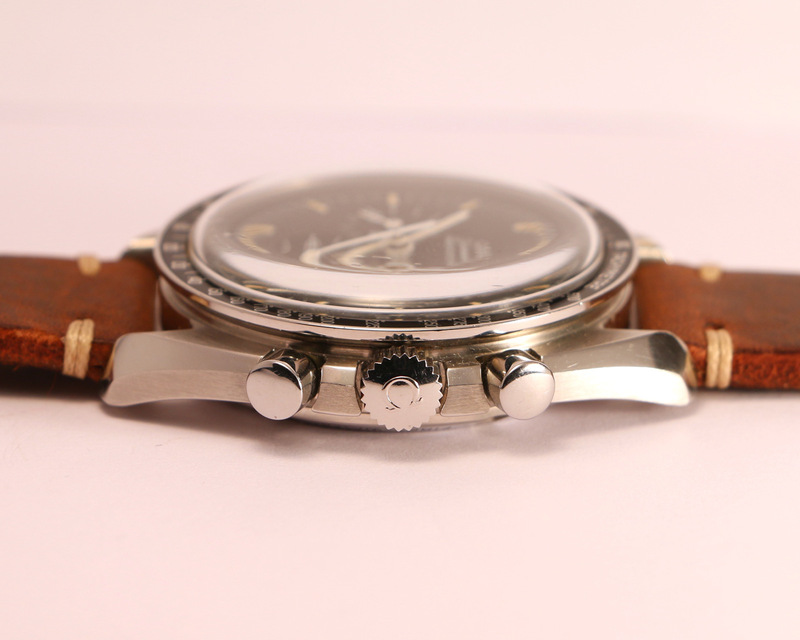 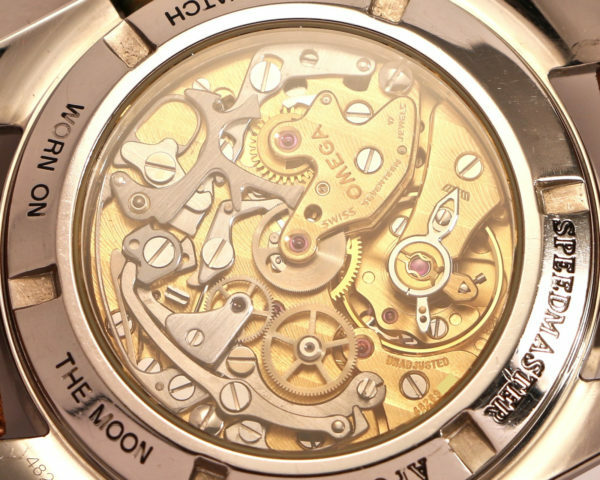 The sapphire caseback reveals the famous 863 caliber with “Côtes de Genève” finish.